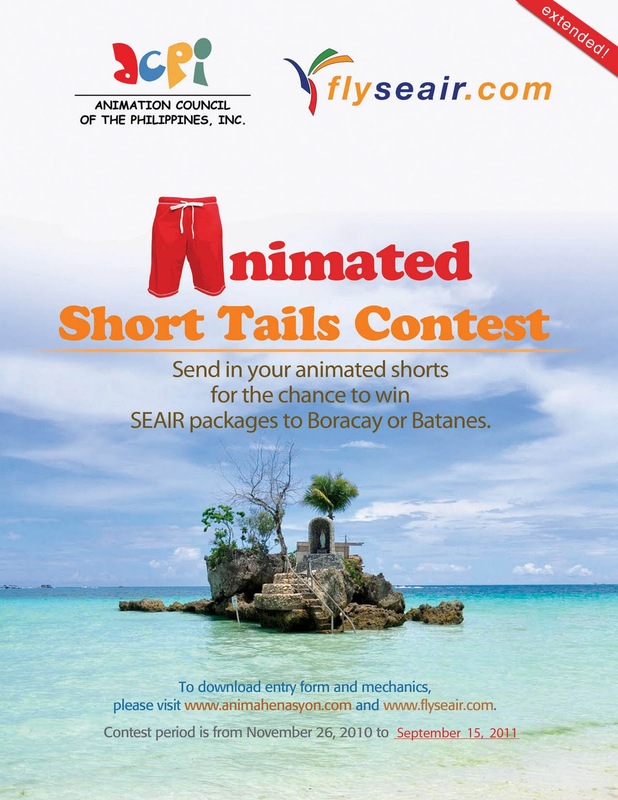 SEAIR's "Animated Short Tails" Contest Extended! I am not really a fan of animation, but last night hubby and I were up late channel surfing and we came upon the CBO channel airing a re-run of Ang TV Movie The Adarna Adventure and I realized how much Filipino movies have evolved in recent years. It was not an animated movie but there was a scene where they animated the Adarna bird as it transformed into Jolina Magdangal. Needless to say, the animation was very rustic compared to what Disney or Pixar were already showing at the time. However, last year's during last year's filmfest I was impressed when they showed RPG Metanoia, again I am not an anime fan but I do appreciate the craft. 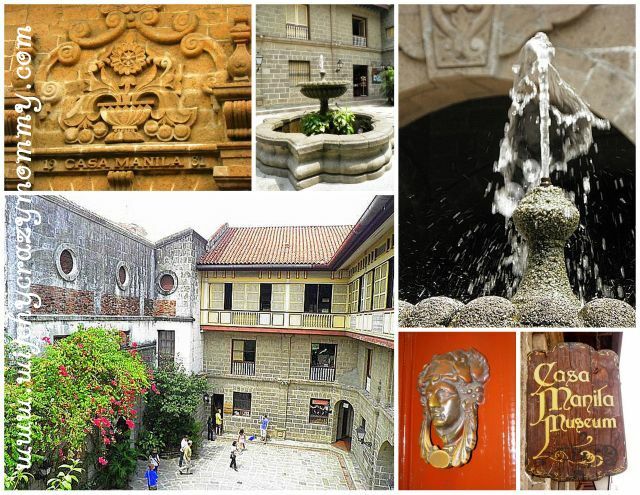 It's impressive how Filipino's have come a long way, but then again Pinoys have always been very artistic it's just that their talents can not feed them in this country so they have to go off to other places to earn a living and enhance their art. I think we need more opportunities for this type of art here, where we can really show off what we can do. Drawing, sketching and creating anime characters at the back of textbooks is not a waste of time or effort, it's an art. Instead of reprimanding kids and telling them that they should be doctors or lawyers, try giving them a sketchpad instead. We need more opportunities and I stumbled upon one, SEAIR launched an animation contest dubbed "Animated Short Tails" that will be running until September 15, 2011. Check out the information below. Get another shot at winning a dream vacation package for two at one of the country’s best year-round destinations, Batanes, with the extended run of the “Animated Short Tails” contest. Due to insistent public demand, the animation competition is extended until September 15, 2011, Thursday. Awarding will coincide with the 5th Philippine Animation Festival, Animahenasyon, on November 25, 2011. Presented by South East Asian Airlines (SEAIR), together with the Animation Council of the Philippines, Inc. (ACPI), “Animated Short Tails” is open to all Filipinos. Registration is free and forms can be downloaded at www.animahenasyon.com. Competition updates will be posted at www.facebook.com/flyseair. "The response from the public has been tremendous," shares Michael Kho Lim, Executive Director of ACPI. "We have been swamped with numerous requests from students and professionals alike to extend the deadline. We understand that content creation for animation takes time so we decided to accommodate their requests. 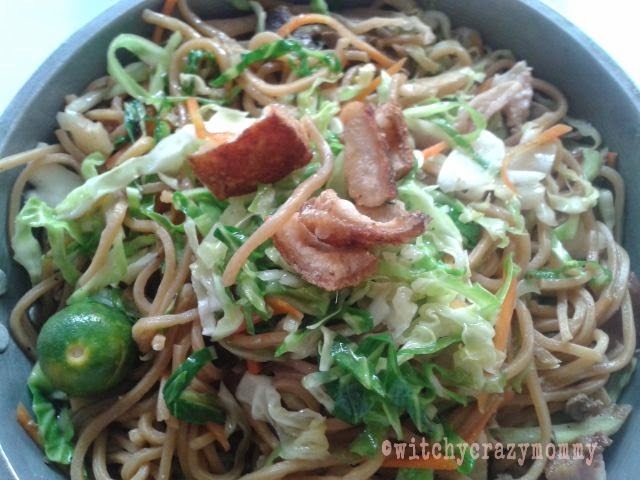 That way, awarding and celebration can coincide with this year's Animahenasyon." Entries should promote SEAIR and its destinations and communicate SEAIR's positioning as the Philippines' premier leisure airline. These can be in cel animation, line drawing, stop motion objects or animated objects, stop motion puppet, stop motion clay/ claymation, sand on glass, paint on glass, cut-outs, pixilation, 2D computer/ flash animation, 3D computer, or a combination of the above forms. Works must have a total duration of 30 seconds. The contest is divided into the professional and student divisions. The first place winner in the professional division gets two Batanes roundtrip tickets and three days, two nights accommodations for two at Batanes Seaside Hotel; second place gets two Boracay roundtrip tickets plus three days, two nights stay for two at Fairways and Bluewater Resort; and third place gets two Boracay roundtrip tickets. The top draw in the student division wins a Batanes roundtrip ticket and three days, two nights stay at Batanes Seaside Hotel; second place gets a Boracay roundtrip ticket and three days, two nights stay at Fairways and Bluewater Resort; and third place gets a Boracay roundtrip ticket. A participant in the school division must provide a photocopy of a valid school ID and school registration form together with the entry form. SEAIR will also give away a Boracay roundtrip ticket to the entry with the most number of “Likes” on the SEAIR Facebook Fan Page. A link to the entry must be posted on the wall at www.facebook.com/flyseair before 11:59 p.m. of September 15, 2011. "As we see and acknowledge that animation is an edgy marketing tool to promote our products and services," says Delza Gochoco, SEAIR Head of Commercial Affairs. "SEAIR decided to partner with ACPI for 2011 to help promote our airline and its destinations, but at the same time to help boost the production of more original Filipino animation." SEAIR is the nation's second oldest airline and is the only airline that flies from Manila to the idyllic northern province of Batanes. It has the longest history of uninterrupted flights to Boracay via Caticlan and offers the fastest flights to Boracay, the world-class beach destination - at 35 minutes. It was the 2009 Best Airline of the Year at the Philippines' Consumer Excellence Award. This year, SEAIR was named Gold Brand by the Gold Brands Council Philippines as a testament for brand image appeal, and trust and market acceptance. ACPI is a non-profit organization recognized and supported by the government to promote Filipino animation talents worldwide. Annually, it holds “Animahenasyon” which features works of aspiring and professional animators in the country through competition, master classes, animation congress, and work exhibits of seasoned animators and lifetime achievement awardees. So what are you waiting for? Turn in that short tails and get the chance to win that long-deserved vacation! For inquiries on entry submission and “Animated Short Tails” contest rules, please contact the ACPI at 817-2727 local 108 or email: animahenasyon@gmail.com and check updates in SEAIR’s Facebook page at www.facebook.com/flyseair.